My environment is Windows 8, 64bit. Eclipse for Windows 64bit. Either you install Mingw-w64 32bit or 64bit version (http://mingw-w64.sourceforge.net). Then you might face with the problem that Eclipse doesn't print out message to its console. Assuming that you setup your environment correctly, but it seems that Eclipse does not recognize GCC in PATH environment variable. 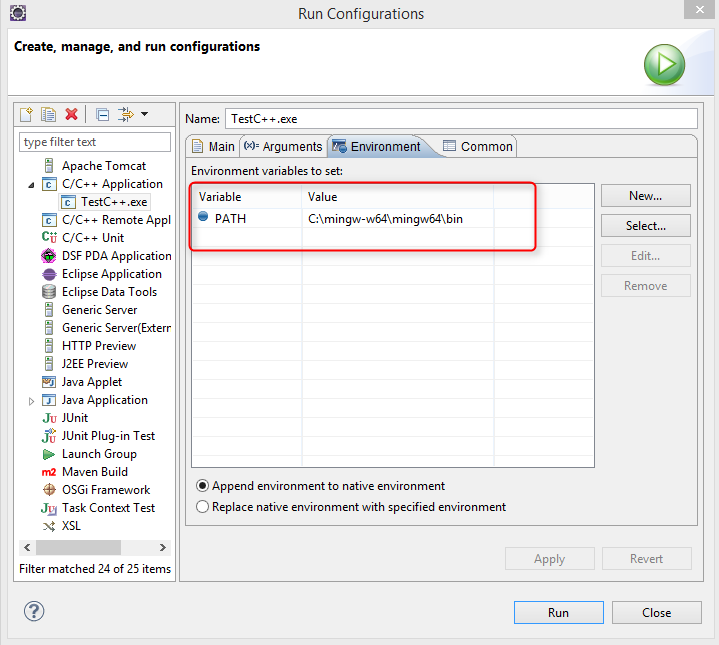 Right click in C/C++ project -> Run As -> Run Configurations... and select tab Environment.